Sri Lanka should change bankruptcy laws in order to attract more foreign investors, Lakshman Kadiragamar Institute of International Relations Executive Director Dinusha Panditharatne said. 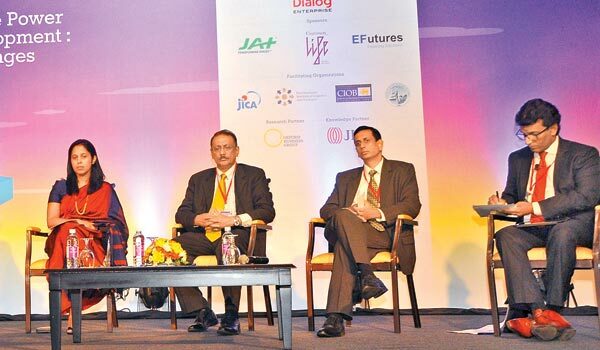 Speaking at the LBR LBO Infrastructure Summit 2016 themed “Realising The Transformative Power of The Western Region Development: Opportunities and Challenges” at the Cinnamon Grand, she said this will also help to ‘better’ Sri Lanka’s ranking in the ‘Ease of Doing Business Index’. She pointed out that currently there are over one million Sri Lankan workers overseas and steps should be taken to ‘woo’ them back to Sri Lanka.“I am also suggesting the introduction of an Electronic Business tracking visa card,” which could be presented at the airport to simplify entry procedure to Sri Lanka. ‘A dedicated fast track ‘Visa Line’ too will be encouraging,”she said. Meanwhile CHEC Port City Colombo Chief Marketing Officer Liang Thow Ming, speaking on the first day said that the proposed Port City will add 1.5 million square meters of land to the Colombo city. The Port City is about 70 percent the size of Colombo 7 while 40% of the land in Port City will be used for public purposes.Under the first phase of the Port City development, which will span over three years with 1.4 billion US dollars of expected investment, 269 hectares of land will be reclaimed. He said the Port City when completed will be like the Marina Bay in Singapore where the average ambience temperature of the city is 1 to 2 degrees below the other parts of the Singapore City.“We are making Port City a walkable area with lot of landscaping and shelter walkways; probably the incorporation of some cycling kiosks along the way,” Ming said.